SYDNEY'S mountain bikers have always been hampered by one thing - a conspicuous lack of proper mountain trails. Instead they have independently, usually illegally, carved their own tracks through national parks around the city fringes. This could be about to change, with the state government to release a discussion paper today on ways of balancing the needs of the state's 30,000 dedicated mountain bike riders with those of people who go to national parks for the trees and wildlife, peace and quiet. I cannot stress enough how important it is that everyone back this initiative! This means comment, comment, comment. Nothing is going to happen unless mountain bike riders show they have the numbers to justify proper facilities. Willoughby Council is asking for comment for the Draft Reserve Action Plan for Mowbray Park. This area contains some potential XC and even DH areas and is just outside of Chatswood. Even though MTB is not mentioned in the plan itself, it's open for the community to comment and is an oppurtune time to let council know about the need for MTB trails in the area. For some, this Sunday may well be their hardest ride of the year so wishing everyone heading to the Angry Doctor & Irate Intern best of luck. If you are still holding out hopes of snapping up a late entry BTW, check the classifieds - quick! It's not all about the doctor though - don't forget those at tomorrow's Wollombi Wild Ride. If you aren't quite up to racing yet, perhaps a Novice Chix XC Clinic is the thing? Or for some plain old fun - head for the Yellomundie Roll on Sunday. And on the topic of snake bites, danielschipper asked, Why do I get punctures?. Other popular threads recently are, Two things to clarify..., a few words trail status updates, some pretty good tips on how to fix a Camelbak bladder and Frags wondered what to do with his Norco six 1. We also had news about Ku-ring-gai Unstructured Recreation Strategy - please comment!. ... and not so goodies from The Atherton Project - Season 2 Episode 7! Wishing superstar Dan and all those mere mortals out there who might be out of action right now (see above!) a speedy recovery. Ku-ring-gai Unstructured Recreation Strategy - please comment! A heads up to all those wanting to work for better trails in the area: Ku-ring-gai council have their Unstructured Recreation Strategy out for comment. Please take a couple of minutes to have a look and comment (not here - I mean in an email to the council) with your support. As part of a commitment to transparent and participatory decision making, Ku-ring-gai Council is seeking comment from the community on the draft Unstructured Recreation Strategy. - provide guidance to bushland management and booking processes for relevant activities. Council link here with full document, and some taster maps from said document attached. Seems like it's time for another round up, so let's see what everyone has been talking about the last couple weeks. On the race scene a few people are getting a bit concerned about the upcoming Angry Doctor Enduro. There's a check list thread but beware: Supagav warned, Angry Doc is very very hard. Meanwhile the three Mixed Nuts took out Masters Fours at the JetBlack 12 hours at Dargle Farm. Reports from each of them here, here and here - well done guys! Elsewhere on Global Riders, the BMORC guys looked forward to Clean up the World day 17-19 September - why not follow their lead and arrange some action at your local trail? Finally, don't forget while planning your weekend riding that ee-lec-shun thing that is coming up - how annoying! flubberghusted suggested there might be A reason to vote and depending on your location maybe there is. If you're still undecided, remember to take a look around at which pollies help the MTB cause before making up your mind. If this doesn't get you in the mood for a ride this weekend, nothing will! The skills these guys have are insane - how did Gwin hold onto that!? Fantastic clip of the DH world cup round at Val di Sole! I feel quite bad for anyone just getting into MTB over the last couple of months and who may have come here looking for riding advice or buddies. Our rides calendar has been mainly devoid of local riding lately due to the rain and there are too many red lights on the trail status page. Is it that we've become a little softer than in the past and the weather is forcing everyone off the trails? Is this the wettest winter for years? The BOM's recent Sydney statement says not really (wettest June since 2007). Is it that riders are becoming more aware of the effects riding in the wet has on their bikes and on the trails? It's probably a combination of all that. I for one am really looking forward to Spring - anyone hear me? Away from the Northern Beaches there was some good racing down at the Three Ring Circus on Sunday with a couple of riders getting on the podium. Congratulations to Antsonline and Steve 01 and all the other riders who made this a great event by the sounds of it. What is your weakest link re: your cycling? Why go for only 1 front ring? Of course, I'm just summarising from the Recent Hot page - why else would it have appeared? Last weekend turned out to be glorious, and hope everyone got back to enjoying what we love. There were certainly a lot of smiling faces on the Super Easy Terrey Hills ride and elsewhere. After one of these rides though, someone is considering Doing Duel (think he means 'Going') - and received plenty of advice on the subject. Some could do a lot worse than try the latest incarnation of the Lefty up front. Then, for those that have 'Done Dual' already, tips on keeping them discussed here. The sun is shining at last, with this and other news giving us a real feel good factor this week. Flynny reports that CTMBC have a $30K Grant awarded to help build new DH. While this will be a little far (Lithgow) for most here, the other big news out of the mountains is that the outcome of the Blue Mountains City Council (BMCC) meeting was a great result. Basically, it seems that BMCC have voted to develop some authorised riding trails up in the Blue Mountains. Well done to everyone on that campaign! Or will you be back on the training regime? With readers noting that Scott 24hrs entries are open. If a 24hr is too full on then consider that Highland Fling entries open - but be quick with both of these! Or what to race this weekend? 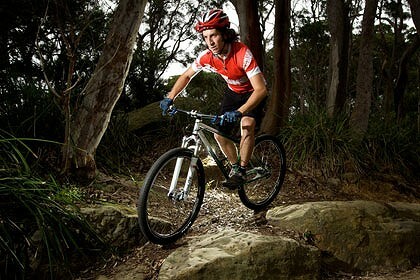 Saturday sees Rd 1 - Rocky Trail MTB GP Series 2010 - 4H+8H at Awaba. Great course to begin what should be a great series. Finally some popular chat from the forum (as shown in the new recent hot listing): nh asked (maybe optimistically), What is my bike worth?, we had a bit of fun guessing where this Reading material was located, were reminded that changing Shifter Cables should be done regularly while clipless pedals and brakes threads seem to cause as much debate as usual. Well done to everyone who competed in last weekend's Husky Enduro 2010. Especially the first timers and those posting impressive times. Sounds like a great event, but where were the pictures? Camera work was not lacking at Glenrock though, when sammydog and crew showed off their latest trailwork from last weekend. When will we get the chance to do this on the Northern Beaches? Who knows, but at least Warringah Council began their PoM meetings this week so here's hoping they take note of the great feedback given. Whilst nrthrnben reminded us to help out our interstate riding buddies, but time is running out - like today! For those feeling a little flush, Rob asked if anyone knew of any worthy bike related charities, and had a couple of suggestions. Of course, sometimes just entering an event is the way to go. Don't forget this year's Woodford to Glenbrook Classic is on this Sunday. It may be too late to get an entry, but just be aware if you plan on riding the Oaks this weekend - Sunday morning is probably out, and take care of walkers all day. With the trails still pretty damp in our area, the pick of this weekend's riding will probably be craked's just another manic menai or <cough>the blackstuff... again!</cough>. Or if you can't get up to the mountains this weekend, but maybe fancy a late night on Wednesday, the BMORC guys will be going for a night ride - Glenbrook to the Oaks then. One can now view popular images in a grid. By 'popular' we mean highest rated. If you are logged in, you can now also see the grid with only the images you haven't rated - this is handy if you just want to flick through them and cast a vote or two. Handy hint: in most modern (tabbed) browsers pressing the mouse wheel opens links in a new tab - I often scan this grid and 'middle click' those I think worth of a closer look, then go through and rate them if worthy. Another feature for those tracking their skills or fitness via hot lap challenges: you can now view your history in the 'My laps' tab. Eg, to view your times round the ever popular Manly Dam - Main Circuit hit this link (yes - it will only work if you are logged in). Or maybe that should say "Last 2 weeks" round up? Last week the talk was all about Capital Punishment 2010 and the 'fun' that was had. Check the link and read some of the blogs on what turned out to be a torturous event. Fatboy summed up some common feelings, "One look told me my wife had the day from hell with the kids so we had something in common...". Although we all know the complaints were only in jest... right? We all know riding in bad conditions is bad for the trails and bad for your bike. After the terrible conditions in Canberra, sideshow asked, How to fix mud induced mechanicals? With a couple of weeks rest now passed, I'll bet it doesn't feel that bad at all... erm... maybe? A lot of you must feel that way though, noting that this year's Angry Doctor event is already sold out! For those wanting an easier ride closer to home, some suggest the, Wollombi Wild Ride on the same weekend. Or if you fancy just tuning your skills, nix85 asked, about the best place to practice log rolls n drop offs. Elsewhere, the BMORC guys are heading to Lisdale on Sunday, or you could hit up Glenrock instead. Or even <cough>the black stuff</cough>. In fact, hairylittlehobbit asked, "Anywhere to ride?" Maybe the answer is to get a fancy wind trainer or just take a ride on the couch after grabbing a DVD or two from this awesome trailers thread. It's hard to not notice that NSW Tourism are promoting the state with MTB. Their campaign is in print and on billboards around the city. Sadly Sydney in particular isn't the riding mecca we'd like, but Sally Barnes gave riders hope with her reply to a few emails that have been sent. Keep up the campaign guys - let's get some real change! Elsewhere on Global Riders GTA are having a Saturday dig day at Glenrock and point out Round 5 of the HMBA XC and DH Series is on at Awaba this Sunday. The guys from BMORC are going to hit up some sweet Oaks single track loops on Sunday. Take care at the Oaks guys - Jeff shared some of his surgeon's handywork - ouch!